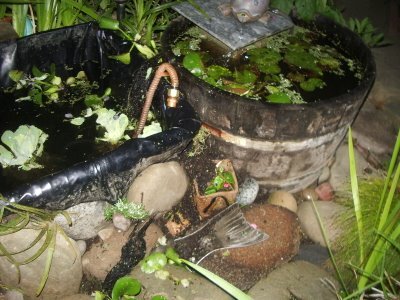 One day last week, we noticed that a raccoon had been in the yard and on the driveway and we were glad that our ponds seemed to be okay. 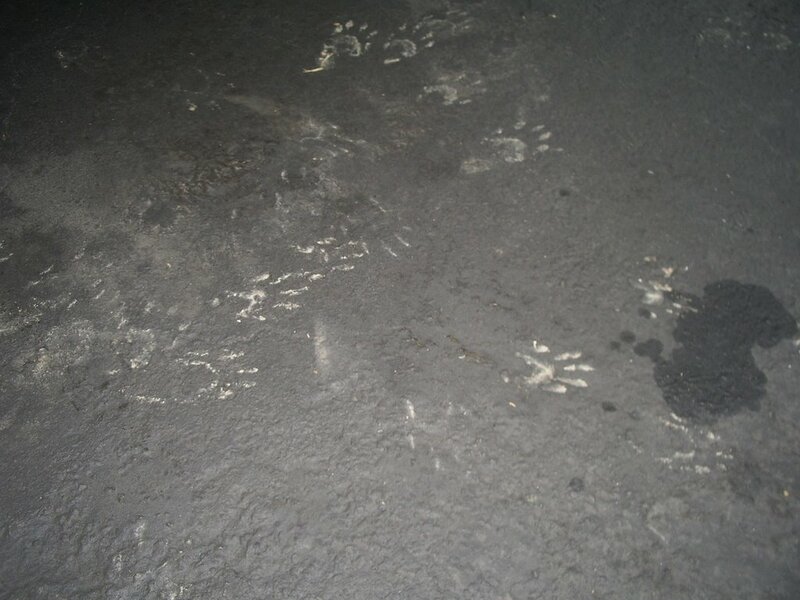 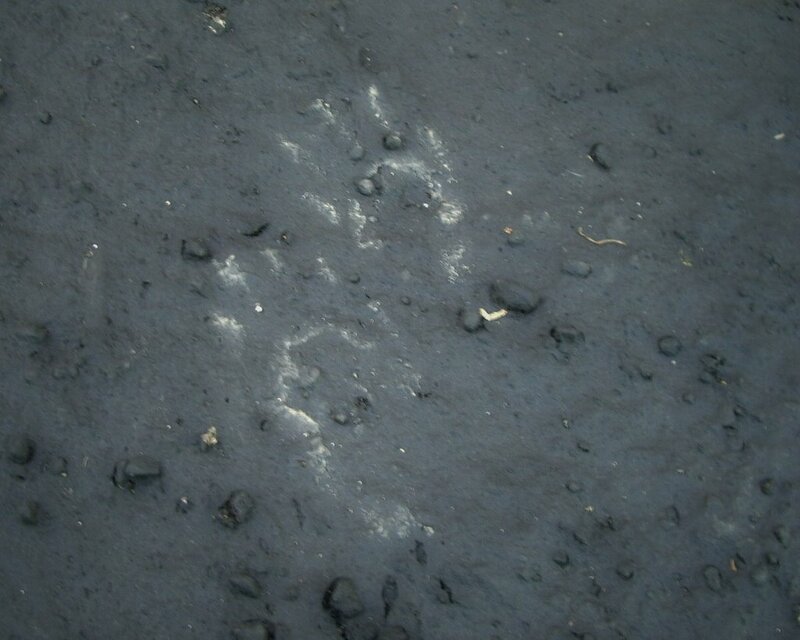 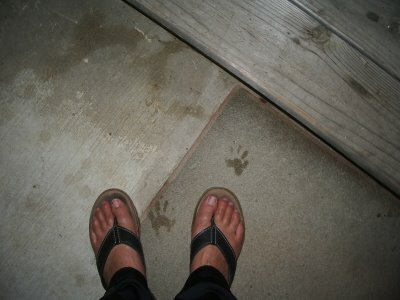 The next night, before we went to bed, we saw these prints near the back porch. 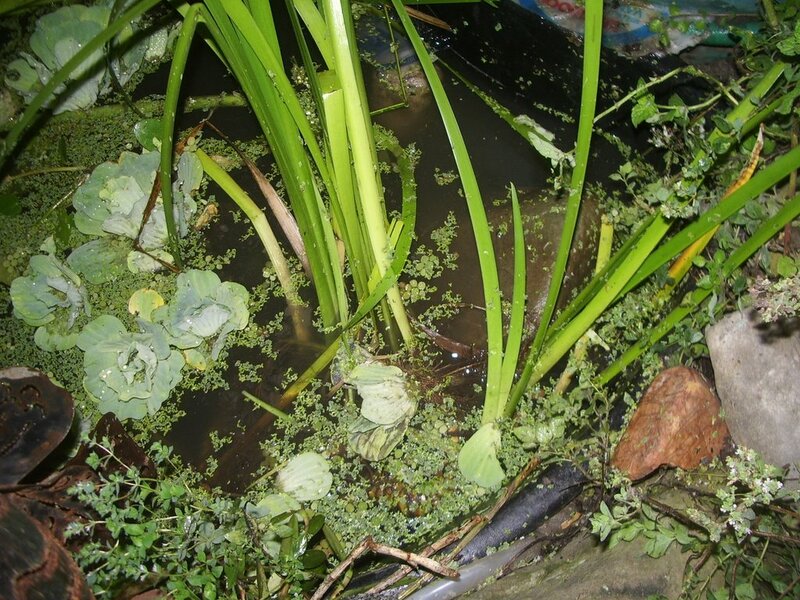 Unfortunately, we found all our ponds ransacked and water drained from all of them the next morning. Looks like one went on reconnaissance and brought his buddies back!